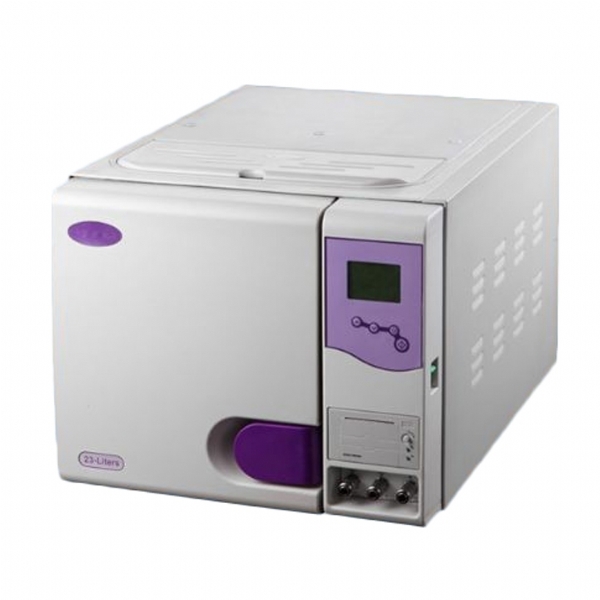 1.The main control system intelligently improved according to EN13060 standard, adjusting sterilizing time and vacuuming time. More accurate control will deliver stable and downright sterilization effect. 2.New digital display window, 4 buttons control panel, convenient and easy operation. 3.MAU-ZOD is equipped with a new set of temperature detecting device, total two sets of separate temperature detecting device inside. TDD one is responsible for temperature detecting, the other one is responsible for checking TDD one. Double sensors could effectively prevent incomplete program. New sensors upgrade temperature control decuple, precise up to 0.1 degree. 4.Vacuuming check is more accurate, higher analytic sensor adopted, the value as precise as 0.001bar. MAU-ZOD will collect the temperature or pressure value per 30 seconds during the program, more accurate value collected for exact analysis and self-checking automatically. 5.Printer output function, the record data are more accurate and detailed. 7.Chamber is made of purple glass surface copperplate,plastically metamorphosed by the extrusion under 500-ton oil pressure.